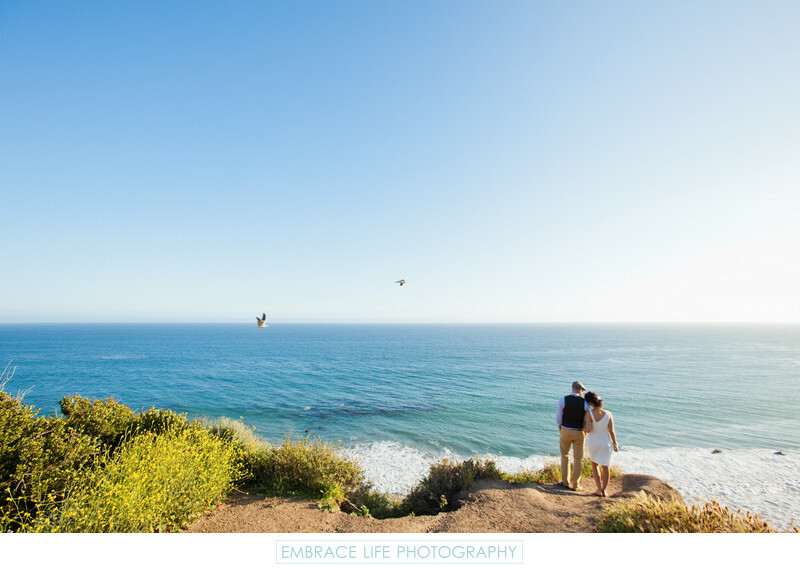 Tender portrait of a bride and groom just before their intimate wedding at El Matador Beach in Malibu, CA. The couple, who's Malibu elopement took place on the sand, stands above the beach on the bluffs overlooking the Pacific Ocean as seagulls fly overhead. Location: 32350 El Matador Beach Rd, Malibu, CA 90265.